The Durban ICC story is one of foresight, vision, co-operation, endeavour, bravery, patience and above all triumph. It is a story that the eThekwini Municipality and the citizens of Durban can be justly proud of. The formation of Operation Jumpstart, which was created to kick-start development in the city and region, brought together role players from all sectors of the community. It recommended as part of its proposals the construction of an international convention centre in Durban. After many months of discussions, the city council approved the proposal to build the centre and the first phase of the development of the Durban International Convention Centre commenced. At the time the Durban ICC was one of the single largest investments made by the City of Durban and represented a statement of confidence by the city fathers and the people of Durban in the future growth and development of the city. November 1994 saw the turning of the first sod for the construction of the Durban ICC by the then premier of KwaZulu-Natal, Dr Frank Mdlalose and the Centre was officially opened on 8 August 1997 by President Nelson Mandela. Peter Brokenshire became the first Chief Executive Officer of the Durban ICC. From the start the Durban ICC hosted a number of important international events. It held a series of important medical conferences including the XIII International AIDS Conference in 2000. Important events hosted at the Durban ICC during this period included the XII Non-Aligned Movement Summit in 1998, the ninth International Anti-Corruption Conference and CHOGM – Commonwealth Heads of Government Meeting in 1999, the World Congress against Racism, Racial Discrimination, Xenophobia and Related Intolerances, the IUCN World Parks Conference and the World Economic Forum in 2001 and the International Bar Association and the African Union Summit in 2002. In 2000 the Durban ICC took over the management of the Durban Exhibition Centre becoming the largest international conference centre in Africa hosting the Indaba Travel Trade Exhibition in its expanded facilities. During 2001 the Durban ICC secured its first ever World Travel Awards “Leading Conference Centre in Africa” title which the Centre has gone on to win 15 times in 16 years . In 2002 Alec Gilbert was appointed Chief Executive Officer of the Durban ICC ushering in a very busy period for the Centre. During 2003 and 2004 the Durban ICC hosted the International Society on Chemotherapy Conference, the International School Library Association Conference, the International Weed Science Society Conference, the SKAL International Congress and General Assembly and the World Lottery Association Convention amongst others. During 2004 work was begun on the expansion of the Durban ICC to include the Durban ICC Arena, a R395-million project which was to see the Durban ICC double in size. The next two years saw further important international events hosted at the Durban ICC including the International Ecological Sanitation Conference, the World Chambers of Commerce Congress, the World Conference on Physics and Sustainable Development and the World Congress of Surgery in 2005. In 2006 the Durban ICC hosted the World Congress of Injury Prevention and Safety Promotion and the International Sociological Association Conference with Indaba doubling in size as it expanded into the new ICC Arena. To cater for increasing demand the Durban ICC was officially expanded with the opening of the ICC Arena in March 2007 transforming the centre into the largest flat floor, column free exhibitions and meetings space in Africa. Combined with the ICC Exhibition Centre, the Durban ICC now provides up to 112,000m2 of conference and exhibition space to clients. 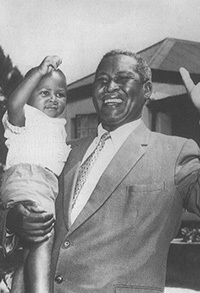 The full ICC complex was renamed the Inkosi Albert Luthuli International Convention Centre Complex in 2007 in remembrance of the former Nobel Peace Prize Laureate and former President of the African National Congress, Albert Luthuli. In 2007 Miller Matola was appointed Chief Executive Officer of the Durban ICC. The Durban ICC continued to host a number of high profile events including the International Congress of Entomology and the World Federation of Anesthesiologists, the 21st Congress of the International Association for Child and Adolescent Psychiatry and Allied Professions and the Disabled People International Conference amongst others. In 2010, Jeremy Hurter took over from Miller as acting Chief Executive Officer. During April 2011 Julie-May Ellingson joined the ICC as Acting Chief Executive Officer. Having been directly involved in the World Cup 2010 preparation and the bids for both the 123rd International Olympic Committee Session and COP17/CMP7 Julie-May was well placed to ensure the ICC continued to operate as a world class international convention centre. In November 2011, Julie-May was appointed Chief Executive Officer of the Durban ICC. During the year the Durban ICC hosted two very high profile events: the 123rd International Olympic Committee Session which focused the global sports media’s attention on Durban and the Durban ICC and the second was the 17th Conference of Parties of the United Nations Framework Convention on Climate Change: known as COP17/CMP7. This event brought approximately 15,000 delegates into the city during November and December 2011 and was one of the largest and most complex events ever hosted at the Durban ICC, once more underscoring the credentials of the Durban ICC as one of the foremost Global International Convention Centres. In preparation for COP17/CMP7 the Durban Exhibition Centre received a much-needed face-lift including painting, new sensor taps being installed, repairs to the roof, upgrading ablution facilities, the electrical reticulation system, the lighting system, the fire system, CCTV and most the centre’s Wi-Fi system thanks to the contribution by the Department of International Relations and Co-operation (DIRCO). Importantly, the ICC also became one of the few centres in the world to received ISO140001 accreditation in Oct 2011. Further events hosted during 2011/12 included the World Federation of the Deaf Conference, the International Committee on Non-Destructive Testing Conference, The International Cost Engineering Conference, the 4th International Wildlife Management Conference, the 13th World Conference of the International Federation of French Teachers, the Conference for Civil Registrations and the 3rd Continental Conference for the International Society of Dermatology. In July 2014, Nicolette Elia-Beissel took over from Julie-May as Acting-Chief-Executive-Officer and ensured that the business continued to operate successfully throughout the process of appointing the new CEO in April 2015. 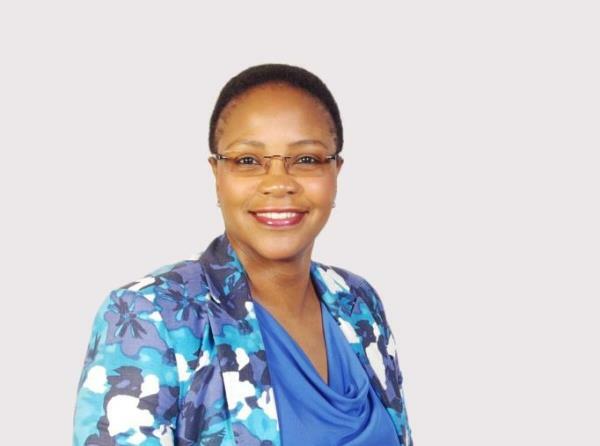 In April 2015, Lindiwe Rakharebe was appointed as Chief Executive Officer. 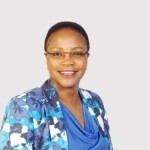 Lindiwe has a strong background in corporate management and has worked in a managerial capacity for all four of South Africa’s major banking institutions. Her areas of expertise include strategic planning, research, marketing, community liaison, policy development and basic principles of good corporate governance. She holds a Bachelor’s degree in Management Leadership from the University of the Free State as well as other qualifications in Marketing Management and Management Development. She is highly qualified and brings over 30 years’ experience in the corporate environment. 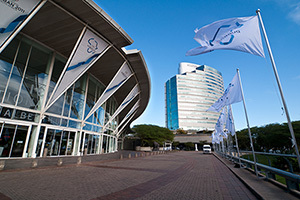 Over the years the Durban ICC has also hosted many national conferences, meetings and exhibitions with many returning to the Centre year after year. In addition the Corporate and Government sectors have contributed greatly to the success and prosperity of the Durban ICC. The Durban ICC has proved a pivotal catalyst for the Durban and KwaZulu-Natal economy. It has firmly established Durban on the global conferencing map. The centre has been the trailblazer for the growth of the conferencing, meetings and exhibitions industry in South Africa with the other major cities in South Africa following Durban’s example in constructing convention centres of their own, which collectively have catapulted South Africa into the 32nd ranked global conferencing destination and Africa’s number one conference destination in terms of the ICCA 2014 rankings. The Durban ICC will continue to act as a catalyst for the economic well being of the tourism industry in the city and region with a very important role in offsetting the seasonality that exists in the leisure tourism industry. The centre is rated as a 5-star venue by the Tourism Grading Council of South Africa and holds Gold Status certification in the AIPC Quality Standards program. In addition the Centre is ISO9001, ISO14001, ISO22000 and HACCP certified, which are internationally recognised quality standards focused on service delivery, environmental management and food safety. The Durban ICC is the only convention centre is the country to have achieved all of these certifications.